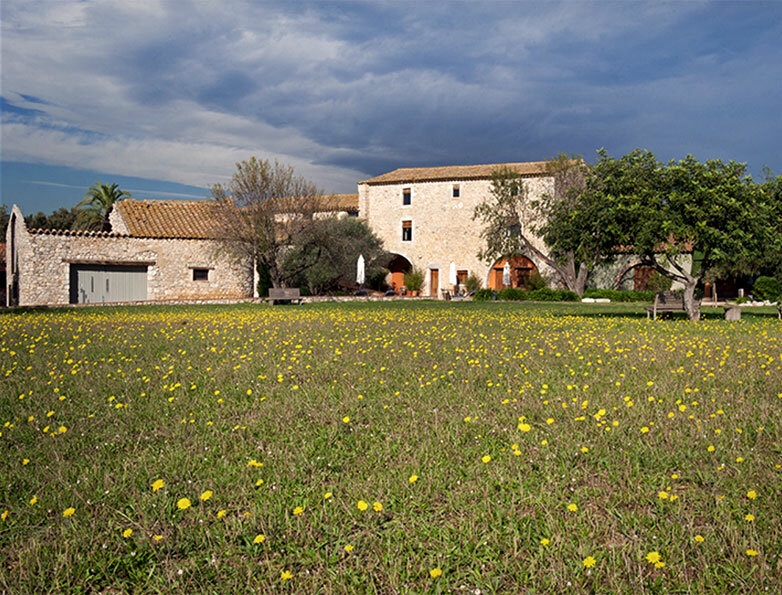 At Mas Falgarona you will have the chance to enjoy the colours of the Empordà sky, with long sweeping clouds when the tramontane wind blows or red-tinged clouds at dusk, which invite you to take in the tranquillity and relax. The Empordà light allows us to enjoy an environment that is alive and a landscape in its purest form. Mas Falgarona offers the perfect conditions for unwinding and relaxing in an exceptional location, which is also close to the best cultural and leisure attractions in cities such as Figueres, Roses and Girona. The team at Mas Falgarona can offer you an endless choice of suggestions and ideas so that you enjoy your stay. You will not want to miss the coves at Cap de Creus, Cadaqués or Salvador Dalí's house in Port-Lligat, monuments such as the Sant Pere de Rodes monastery or the old Greek city of Ampurias, not forgetting music festivals such as the Peralada, the Schubertiada in Vilabertrán or the Acoustic Music Festival in Figueres. Let yourself be amazed at the surrealism of the Dali route. At the Dalí Theatre-Museum in Figueres, you will be able to discover the story of the artist from Empordà and see some of his most internationally renowned pieces of art. The stops on the route, which are close together, explore the most intimate and private aspects of Salvador's life: the painter's house in Portlligat (Cadaqués) and the Gala Dalí Castle in Púbol. For guests looking for sports activities, the Torremirona (3 km away) and Peralada (15 km away) golf courses are very nearby, as well as the internationally recognised PGA Caldes (45 km away) golf course. For cyclists, the hotel has a number of bicycles which are available free of charge to guests and a large number of mountain biking routes, as well as circuits in the surrounding areas, which take you along the region's internal roads.